APPSC Group 4 Syllabus has General Studies and Secretarial Abilities.There are totally 2 papers,each consist of 150 questions.Paper 1 has General Studies for 150 marks and all questions are objective type only.Group 4 Question Paper will come in English and Telugu.Candidates can download the APPSC Group 4 Syllabus in Telugu also.Paper 2 consist of 150 multiple type of questions,contains Secretarial Abilities syllabus 2012. .you can have the complete details on APPSC Group 4 Syllabus 2012 for Paper 1 and Paper 2. APPSC Group 4 Paper 2 Syllabus has 5 sections/topics,which are Mental Ability,Aptitude,Logical Reasoning,Comprehension and Sentence formation.This paper has 150 questions for 150 marks. 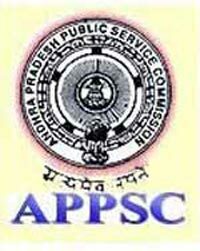 APPSC Group 4 Exam date is 11-08-2012.Candidates can download the APPSC Group 4 Study Material,Model Question papers,Previous Papers in this website later.